✅ Trip Verified | I had a great experience flying with Air Macau yesterday. Was surprised that other reviewers have rated them so low. In particular, their reservations team were really helpful when we had problems with our travel agent, travelgenio. Our original flight was cancelled by Air Macau 2 weeks before departure, which was annoying but they offered us a selection of four alterative flights (via our travel agent). Our travel agent then gave us the wrong rebooked flight details. We therefore didn't turn up to the airport for the flight and we looked like a no show to Air Macau. Travel agent took no responsibility for their error and we were worried we would have to pay for a new ticket. However, a quick call to Air Macau customer services and they rebooked us onto a flight the following day for no extra charge. Brilliant! Departure experience: There was a bit of a queue at check in but not abnormally long. 1.5hr flight included a pork roll, cookie and water which was a nice touch. All the staff were friendly too. I suppose one downside was that there was no inflight entertainment and electrical sockets, but that didn't bother us on such a short flight. I would definitely fly with them again. ✅ Trip Verified | Hangzhou to Macau. I have had the misfortune of flying Air Macau numerous times over the past 6 years. On virtually every occasion the flight has been late, often by at least 2 hours. The airline has the annoying habit of boarding passengers first, and only then informing them of the delay, creating a long and frustrating wait on the tarmac. The Macau - Beijing route seems particularly liable to delay, but recently I have travelled on Air Macau to Hangzhou and Nanjing and both flights were 2 hours+ late, with little or no explanation. Air Macau gives the impression that it simply does not care. After many years of international travel, Air Macau is quite simply the most unreliable airline I have ever had the misfortune to fly on. ✅ Verified Review | Beijing to Macau. Air Macau is the only one carrier operating 3 daily flights from Beijing to Macau. The aircraft they use on this route is A321. The flight attendants can speak English well, but the service do not have any shining spot. Dinner is provided on this flight, which tastes not too bad. Although the plane delayed for 30min to get airborne, due to traffic of Beijing Airport, the flight made landing 10min earlier than estimated, which surprised me. "attendants were a mix bag"
✅ Verified Review | Bangkok to Macau with Air Macau. Check-in in BKK was painful. The line was long and extremely slow moving. Check-in staff in BKK seemed busier chatting / messaging on their cellphones. The agent who was checking us in was unpleasant and unprofessional. She was busier message chatting on her phone when we reached the check-in counter. She didn't know the dimension of cabin baggage yet tried to deny my IATA cabin certified carry-on. Then, she started "lecturing" my 67 years old mother and I on Macau immigration requirements, imply us as potential over-stayers. I am an economist at an international organization and I travel on a monthly basis for work and leisure; I used to work in the air transport sector myself and I have lived in 6 different countries and I am very well informed with immigration requirements. Finally, we only receive our boarding passes after the involvement of check-in supervisor. On the other hand, kudos to check-in personnel at MFM. Check-in was a breeze - the line was fast moving, and personnel were friendly, helpful and efficient. 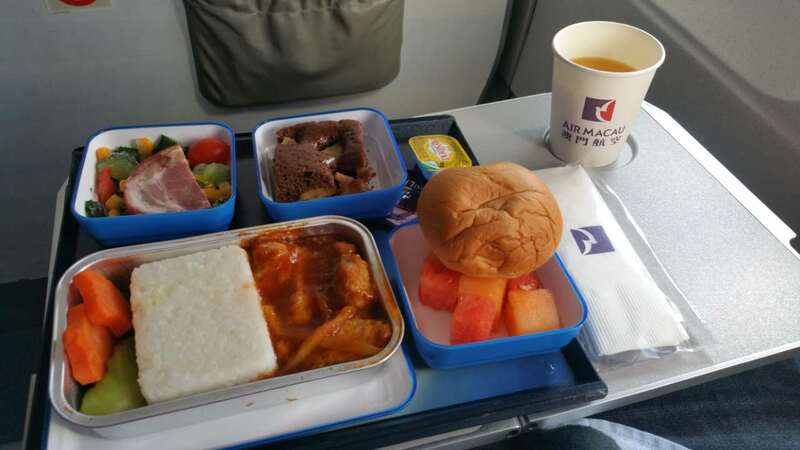 No personal IFE on board; seats for both ways were very uncomfortable; food was average but only water was offered. Flights were slightly delayed both directions. In-flight attendants were a mix bag, some were very enthusiastic and passionate while others provided minimal service. "worse than a budget airline"
✅ Verified Review | No pre-flight selections of seats. All seats have to be assigned upon checkin at airport counter in Macau and in Bangkok. This procedure takes forever and so time consuming. Flight experience on the return trip, Bangkok/Macau was horrific. The flight was scheduled for 9:50 pm but was delayed for at least an hour. Was warned that this airline on-time performance is terrrible and it sure is. In addition, cabin temp was too hot making it impossible to breathe. Never again will I fly with this airline. A full fare airline that is performing worse than a budget airline. AirAsia far better. "the poor condition of the plane"
✅ Verified Review | I used Air Macau for a round-trip from Tokyo to Narita. I was able to get the tickets for a quite low price, so I was not expecting much from this airline. At the end, I was able to get a fair flight from them, but there were still some issues that made my journey inconvenient. The thing that bugged me was that some items in the cabin seemed to either have issues or was non-functional. One of them was the tray tables. It was mandatory for me to use it as both of my flights included 1 meal. But, whenever I try to place my food tray on it, it keeps sliding towards me. It was quite annoying at the time. Also, in one of my flights my seat recliner was broken. Despite the poor maintenance, the cabin staff was very friendly and helpful on both of my flights. 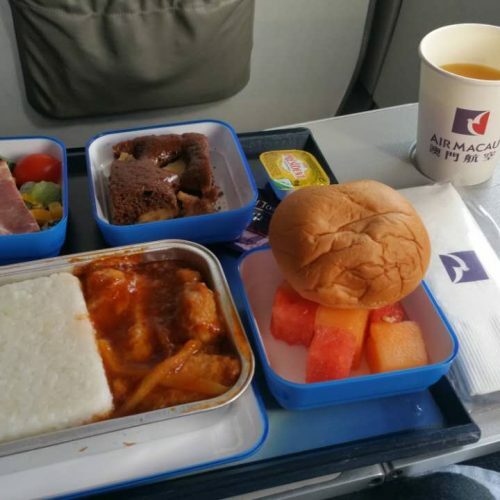 Overall, Air Macau is a minor airline and passengers shouldn't expect much from them. If you are a person that doesn't mind the poor condition of the plane and want a straight flight to Macau, then I would recommend this airline to you. If not, then I would rather suggest taking other flights heading to Hong Kong and using the ferry from Hong Kong to Macau. ✅ Verified Review | Macau to Chengdu. My debut with this carrier, check-in at 1000 for noon flight, staff said flight will be delayed but didn't know exact departure time, and said will notify me once confirm. Wait until 1500, receive SMS that flight departs 1700. Finally I decided to cancel my trip. I like to say I book through their site, air fare is standard fare which is not value for money, for a national carrier their ground staff and services seems like budget airline. The staff are not initiated and not intended to compensate or apology. Regret to choose this carrier and highly not recommended! 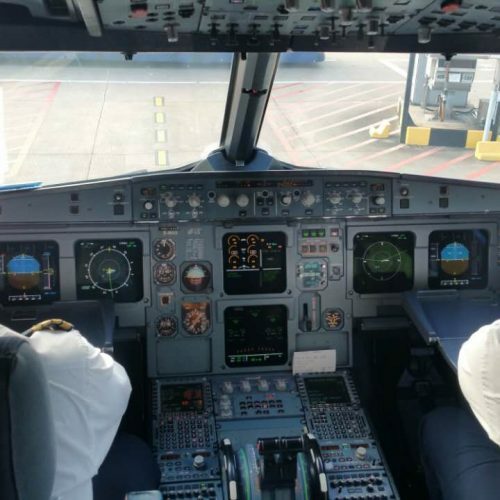 "not very impressed with safety"
✅ Verified Review | Hanoi to Macau with Air Macau, and not very impressed with cabin crew and safety procedures. I fly a lot and have used many different airlines. It appeared that the staff were not interested in doing their job properly. The passenger in front of me never put on his seat belt once, (take off and landing included) and not one member of staff checked or asked him to do so. The woman in the isle seat next to me had 3 bags which she held on her knee and at her feet, a flight attendant came to answer her question about how long the flight would take, but negated to request the passenger to put her luggage in the stow compartment during take off and landing. Some seats remained reclined during decent. I will mention (and this may reflect on the airport) but once we were off the aircraft we were put onto a bus to take us to the gate, as the door opened there was a lot of pushing and shoving from passengers to be the first one off and through to passport check. I had to hold onto a rail so that I would not be pushed over. I have never experienced anything like this. This airline could much better if improvements are made in regard to the above. "8.5 hours at the airport"
✅ Verified Review | Shanghai to Macau with Air Macau. My flight NX135 was supposed to depart at 16:40. I got to the airport at 15:00 and I was told that the flight was delayed because the airplane was still in Macau. So at least 3 hours delay but they had no idea when the plane was flying to Shanghai and also no idea why it was still in Macau. At the gate, the staff told us it was due to "air traffic" and "weather in Guangzhou". In the end, we boarder at 23:30. I spent 8.5 hours at the airport. When I came back, I was told by my friends and colleagues that this is very common with Air Macau, thus I am sure I'm not flying with this airline anymore. "not a single on time departure"
Round trip between Bangkok and Tokyo/Narita with layover in Macau both times. Each of the four flights were delayed between 10 minutes and an hour and a half. Not a single on time departure on my trip. This airline seems to a have its pilots climb and descend very rapidly. There are economic advantages to this type of flying but it can be uncomfortable on your ears. Cabin temperature inconsistent, hot at times and cold at times. For food, "fish rice" was the only option on one of the legs, the other also had a chicken and rice meal. I am 6'4" so very sensitive to seat pitch. 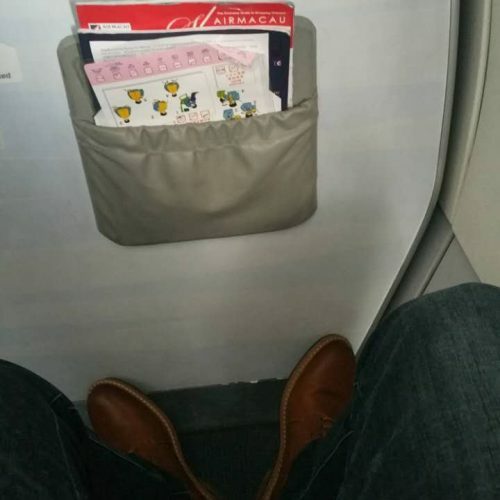 I thought the seats were OK for the shorter flights but couldn't handle them for much longer. Aircraft's are older A320 and A321s that could use a refurbishment. We got a good price for these tickets so I will say the value wasn't bad.